Sample TESS target pixel file stack and aperture (TIC 261136679 shown here). The TESS mission successfully launched on 18 April 2018 and began science operations on 25 July 2018. Observations of science Sector 1 were performed from 25 July to 22 August, during which pixel data from nearly 16,000 objects were collected at two-minute cadence. These data were sent to the Science Processing Operations Center (SPOC) at NASA Ames for calibration, reduction, cotrending, and transit detection. The potential planet signatures, in the form of Threshold Crossing Events (TCEs), were reviewed by the TESS Science Office to identify targets for imaging and spectroscopic follow-up. A total of 44 high-quality planet candidates in Sector 1 were initially selected from the two-minute cadence data for follow-up observations by the TESS Follow-Up Program (TFOP). Additional deliveries of alerts are provided as more Sectors and multi-Sector searches are conducted by the team. In the table below, the target pixel files, extracted light curves, and data validation reports for planet candidates identified as TESS Data Alerts are made available for download. The release notes describing these products can be downloaded via the Data Release Notes link at the top of this page. You can refer to the full collection of TESS-DATA-ALERTS data products using the DOI http://dx.doi.org/10.17909/t9-wx1n-aw08. Note that the names of files released as part of the Data Alerts HLSP do not follow the same naming convention as TESS data products in the full public release. Except where and if noted, the Data Alerts files are produced by the TESS mission pipeline. The format and structure of those products are identical to the ones to be released in the first TESS data release. The data products are available for download through the table below. A bundle of all data products for all targets is available for download at the top of the table. Note that the exoplanet parameters are from the Sector 1 information when an exoplanet candidate is present in both Sector 1 and Sector 2. Rows containing data products that analyze multiple sectors of data together are denoted by multi-sector strings, e.g., "1-3" for data that span Sectors 1 through 3. But note: the range is the possible minimum and maximum Sectors used, it does not mean data was necessarily used from each Sector in the range in that column or file name. Always consult the information contained with the data validation reports to determine what data was used to generate those reports. Some planet candidates only have sector-combined data validation files, in those situations, the individual sector DV table cells will be empty, and the corresponding sector-combined DV files should be the primary reference for data validation information. Note: Some TOI's were identified from the Full Frame Images using an MIT "Quick Look Pipeline" (QLP). These do not have 2-minute cadence products at the time they were announced, and are identifed as such with "FFI" and "FFI-QLP" in the table below. Download the Full Frame Images from the mission data products for these targets using MAST interfaces like TESSCut, the Portal, Astroquery, or bulk downloads. For a summary of how to search for and retrieve TESS data products, see the Data Search Summary page of the TESS Archive Manual. 2 tp.fits lc.fits dvs.pdf | dvr.pdf The second event is not real. single transit (no period). 2 tp.fits lc.fits dvs.pdf | dvr.pdf centroid offset not significant. 2 tp.fits lc.fits dvs.pdf | dvr.pdf 1700 ppm secondary. Likely EB. 2 tp.fits lc.fits dvs.pdf | dvr.pdf centroid shift is not significant. 2 FFI FFI FFI-QLP centroid shift in X/Y is due to the star nearby but the signal is on target. 1 FFI FFI FFI-QLP Star to NW checked. Transit likely on the target. 2 tp.fits lc.fits dvs.pdf | dvr.pdf The transit shape looks asymmetric but it is not near known systematics; recommend to confirm signal on target before follow up. 2,3 FFI FFI FFI-QLP There might be some odd even difference. 2 tp.fits lc.fits dvs.pdf | dvr.pdf V-shaped; single transit; likely EB. 2 tp.fits lc.fits dvs.pdf | dvr.pdf target could also be 77031413. 2 FFI FFI FFI-QLP two events (near 1360 and 1377); wrong period? 2 FFI FFI FFI-QLP V-shaped; likely EB; period could be twice the reported. 2 FFI FFI FFI-QLP the period is twice as reported; V-shaped. 2 tp.fits lc.fits dvs.pdf | dvr.pdf Stellar radius is likely to be smaller because Teff is low. 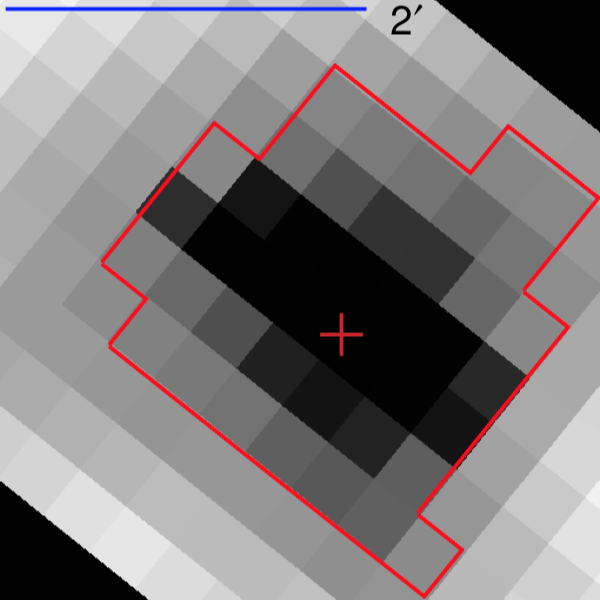 Gaia shows it is a high proper motion star with big parallax. 2 tp.fits lc.fits dvs.pdf | dvr.pdf The detected secondary could have a wrong depth estimation because of the low points near 1380. 2 tp.fits lc.fits dvs.pdf | dvr.pdf V-shaped. 1 tp.fits lc.fits | Gaia indicates this is a M dwarf. There is another star in the same aperture; SG1 needed. 2 FFI FFI FFI-QLP really short period. 2 tp.fits lc.fits dvs.pdf | dvr.pdf Gaia radius is 1.8 Rsun. Planet radius is big. 2 tp.fits lc.fits dvs.pdf | dvr.pdf "The target is two stars separated by <1""; TICOffset and OOTOffset not significant; no other star at the location of the centroid shift indicating signal likely on target"
2 FFI FFI FFI-QLP The period is twice as reported; there appear to be a second event in the data. 2 tp.fits lc.fits dvs.pdf | dvr.pdf The transit signal maybe caused by scattered light. 2 FFI FFI FFI-QLP PC (star radius 1.70); Simbad says it's a known double. Gaia did not have a second star at the same coordinate. 1,2 FFI FFI FFI-QLP V-shaped; need to check if it is on target. 2 FFI FFI FFI-QLP two events; odd even? 2 FFI FFI FFI-QLP synchronized? 2,3 FFI FFI FFI-QLP the target may be on the neighbor on the north (Rstar 1.3; dmag=6). 2 tp.fits lc.fits dvs.pdf | dvr.pdf centroid shift not significant. 1 tp.fits lc.fits | A weak detection. 1 tp.fits lc.fits | Be aware one of the signals is on the edge. 1 FFI FFI FFI-QLP Source is star to the WSW (253917292). 1 FFI FFI FFI-QLP Source is apparently 260985864- which may be a planet depending on host star size. 2,3 FFI FFI FFI-QLP Likely EB; Big but flat bottomed. 2,3 FFI FFI FFI-QLP possible centroid offset; the fainter star to the north has a smaller radius than the target. 1 tp.fits lc.fits dvs.pdf | dvr.pdf Centroid shift is almost a pixel away but there is no corresponding star in that position. There are two nearby stars Gmag=13 close to the NW and Gmag=18 to the SE. If the transit signal is on target it is a small planet around a bright star. 1 FFI FFI FFI-QLP Some confusion about whether source is this star or the close pair of equal brightness stars to the NE (260985864)- but difference image seems to indicate source is more likely to be this star. 1 tp.fits lc.fits dvs.pdf | dvr.pdf Single-transit planet candidate, identified in report as having a 14.2-day period. The transit parameters provided with this TOI (and not those in the DV report) are the correct ones. 2 tp.fits lc.fits dvs.pdf | dvr.pdf V-shaped. Radius Teff and logg not consistent with each other; recommend follow-up to check stellar parameters. The period could be half of the current value. Gaia has excess astrometric noise. 1 tp.fits lc.fits | Only two events; first event is on/near momentum dump. 2 tp.fits lc.fits dvs.pdf | dvr.pdf low MES. 2 FFI FFI FFI-QLP the super bright star to the southwest is TIC 304698788; does not have a signal. 1 tp.fits lc.fits | Last transit is near a momentum dump so period/depth might be affected. The other two are fine. 1 tp.fits lc.fits | M dwarf; low MES USP. 2 tp.fits lc.fits dvs.pdf | dvr.pdf There is another star in the same pixel. Centroid offset is not significant. 2 tp.fits lc.fits dvs.pdf | dvr.pdf Low significance; not enough information from centroid plot to determine if object is on target. Gaia indicates R*=2.7. Transit duration seems short for a giant. Period is similar to the spacecraft period but transit events are not near known scattered light events so they could be real. 1 FFI FFI FFI-QLP Unknown stellar (and candidate) radius. Possible small centroid shift to NW. 1 tp.fits lc.fits | The OOT centroid is wrong; The signal is on target. 1,2 FFI FFI FFI-QLP Signal coming from a faint star to the SE. At least for the brighter of those it could be a planet. 1 tp.fits lc.fits dvs.pdf | dvr.pdf "There is a nearby (2"") comoving dMag~2.5 star. If the signal originates from either the target star or nearby star it could still be a small planet." 1 FFI FFI FFI-QLP Planet candidate around 393940766 to the NW. 1 tp.fits lc.fits dvs.pdf | dvr.pdf Gaia stellar radii 0.69 Rsun.